Charles Hardaker is one of the UK''s leading contemporary artists. 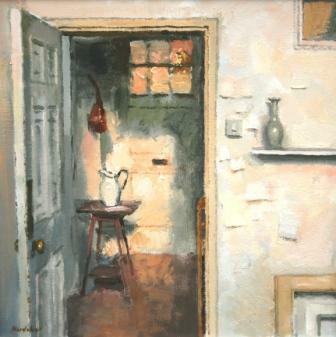 It is easy to see why Charles Hardaker has a growing worldwide reputation for his paintings and for capturing light and shade so effectively. Charles Hardaker is a master at capturing light and shade in his paintings. This painting is no exception and features a view of Hardaker''s beloved art studio. Different times of year and different times of day produce changing light conditions which Hardaker successfully records. In addition to Red Rag British Art Gallery Charles Hardaker has exhibited at other leading British Art Galleries. Each painting at Red Rag is sourced from the Charles Hardaker artist studio and like all Red Rag British art and Contemporary art it can be shipped worldwide.